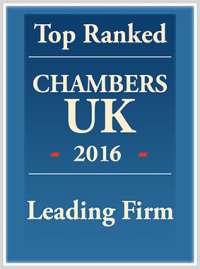 We have been recognised for our world-class approach to people development and management. We’re now the only law firm with a head office in the region, to hold the Investors in People Gold accreditation and the Investors in People Health and Wellness Award. Both accolades will be retained for three years. The awards reflect the effort we’ve put into making sure our people feel supported, recognised and happy within their working environment. Our focus on providing a good work-life balance has been strengthened by the range of benefits and numerous activity clubs open for everyone who works here. This includes a weekly metafit class, walking/running/cycling groups and other classes provided by the firm. The judging panel were also impressed by our extensive range of benefits, including its healthy living week and healthy breakfasts, offering personal health checks, providing maternity and work-life balance coaches and flexible working options. 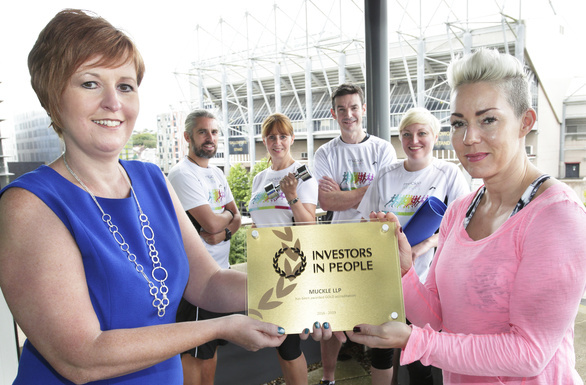 The double Investors in People awards follow success at the CIPD (Chartered Institute of Personnel and Development) North East HR&D Awards, in June 2016, when we won the Health and Wellness Innovation Award. Claire Atkins, Director of HR at Muckle LLP, said: “These awards and accreditations are thanks to the hard work and effort of everyone within the firm. We have a fantastic team of people at Muckle and it’s so important to recognise and nurture that by providing a supportive environment in which people can develop. Muckle LLP was also recently voted Regional Law Firm of the Year at the Solicitors’ Journal Awards, and is a three times winner of the Heart of the Community Award for Northumberland and Tyneside region. For more information on how we can help your business, please call 0191 211 7777 or email [email protected].